Dr. Keith Alstedter, Psy.D. artfully guides people to recognize and embody their essence and from this alignment to bring ease, love and true joy into their lives. 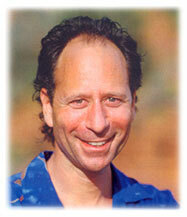 Keith facilitates an integrative healing process that is gentle, fast and freeing. Psychically attuned, Keith identifies the root of short and long term psycho-spiritual-soul issues and helps to heal or release them quickly. Keith is a loving, masterful healer. He inspires people to live from their heart and soul, to connect to their inner Knowing, and gracefully manifest their dreams! Drawing from a blend of shamanic, psychological, and spiritual healing practices, Keith uniquely assists the growth and ascension of both individuals and groups with humor, love and joy. I have suffered from depression for over 20 years. After many hours, thousands of dollars in psychotherapy, and just about every antidepressant on the market, life still seemed hopeless. After my session with Dr. Keith Alstedter I felt like I had 40 years of therapy in one hour. Keith was a genius in pin pointing psycho-spiritual issues that have affected my life since childhood, and we resolved them once and for all. His techniques are very special and unique. I no longer take antidepressants nor feel the need for them. Keith is an amazing and truly compassionate healer." A very special time for you, or your group. Keith offers intensives and retreats for individuals, couples and groups in Santa Barbara, Sedona, or at a locale of your choice. The sessions can run from a day up to two weeks long. This will give you the opportunity to work on specific issues with exercises, rituals, meditations and a variety of healing modalities designed specifically for you in an enchanting and relaxed environment. It’s a great way to empower your process and facilitate significant movement in a short period of time. "Keith brings to his work a depth of understanding and compassion for the path we are all here to walk. His work embraces our multidimensional aspects and allows for the greatest part of our beings to be experienced on a fully conscious level. His retreats and groups lead us to an experience of the Divine that is truly within us all." Align with your Path and Purpose: Fulfill your heart and soul’s desire. Liberate yourself from old identities: Embody your true nature. Soul Clearings: Detoxify the soul from negative vibrations that create distress, disease and interfere with actualizing one’s path and purpose. Essence Recovery: Reclaim and embody "lost" and separated essential parts of your self. Relationship Counseling and Clearings: Bring more love, passion and harmony into your relationships. Disconnect from unhealthy attachments and relationships. Free yourself from negative bonding patterns. Generational Clearings: Cut the “fuel lines” to unhealthy familial patterns and beliefs. Supervision for Healers and Coaches: Develop and embrace your own unique gifts and mastery. Understand client psycho-spiritual-dynamics. Become acutely aware of the effects your presence, relationship and interventions have upon your clients. Deer Song Transformational Journeys offers wonderful retreats and personalized programs around the world in some of the most beautiful, sacred and exotic settings. Through the use of inspirational exercises, ceremonies and unique psycho-spiritual practices, Deer Song retreats empower people to shine, truly live from their heart and soul and soar into their majesty! *Most retreats include gourmet meals, daily yoga and meditations, special outings, massages, as well as other healing treatments, and a variety of inspirational ceremonies. "My work with Keith has enabled me to live the life I had always dreamed!"